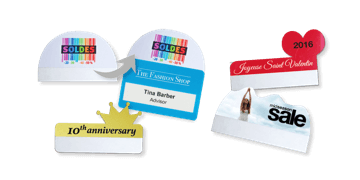 Communicate your promotional message by using stick-it add-ons for badges. Your customer facing employees can attach these to their badges to display offers, events or any other message. A simple yet effective promotional tool.